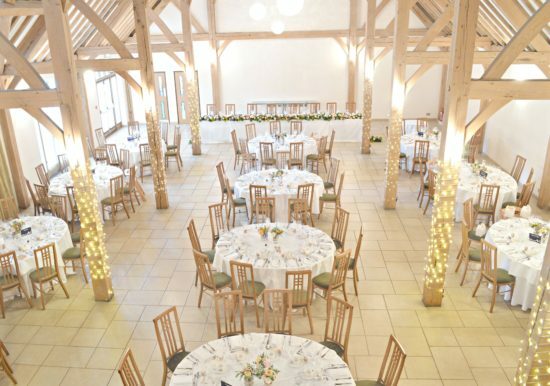 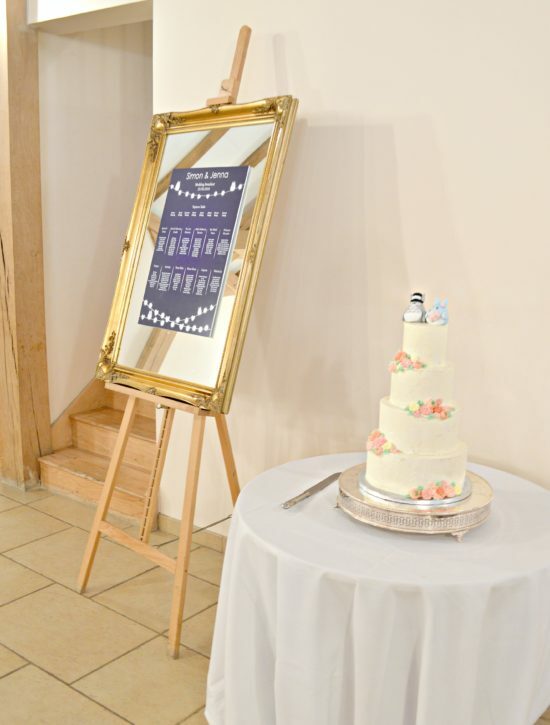 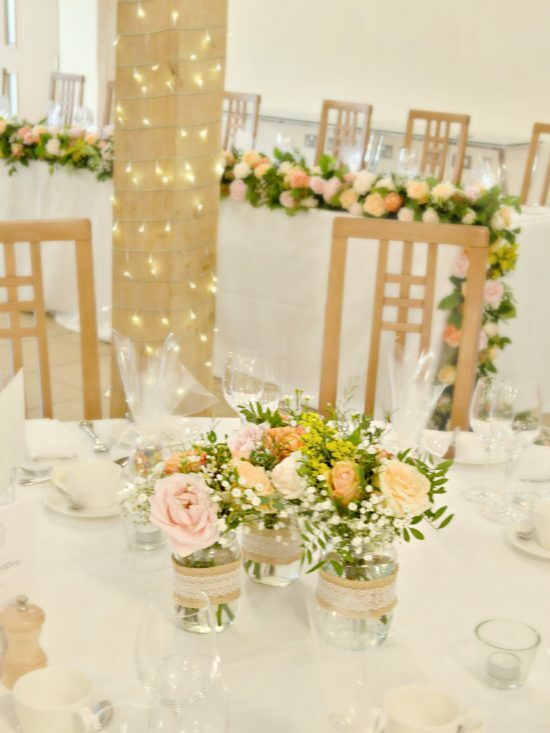 We loved working with Jenna and Simon to create their rustic barn wedding at Rivervale in Hampshire. 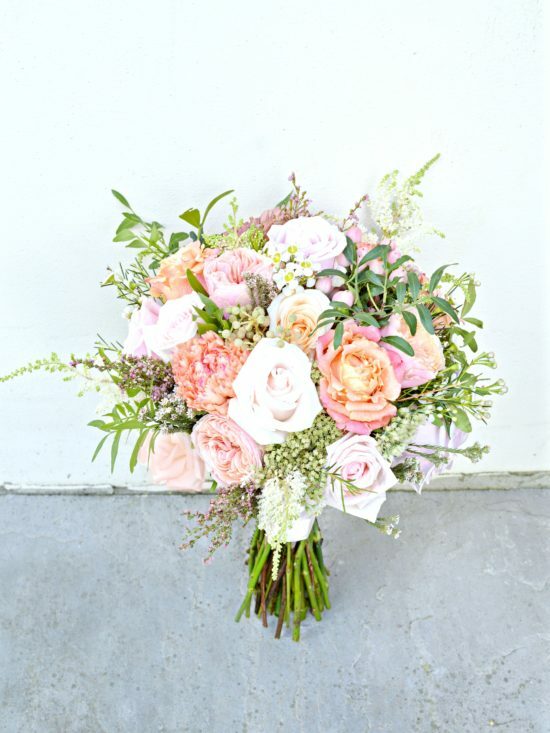 Jenna chose a bridal bouquet with a mix of her favourite blooms including Dahlia, David Austin, Astilbe, Wax Flowers and Berries in orange, peach and pink colours. 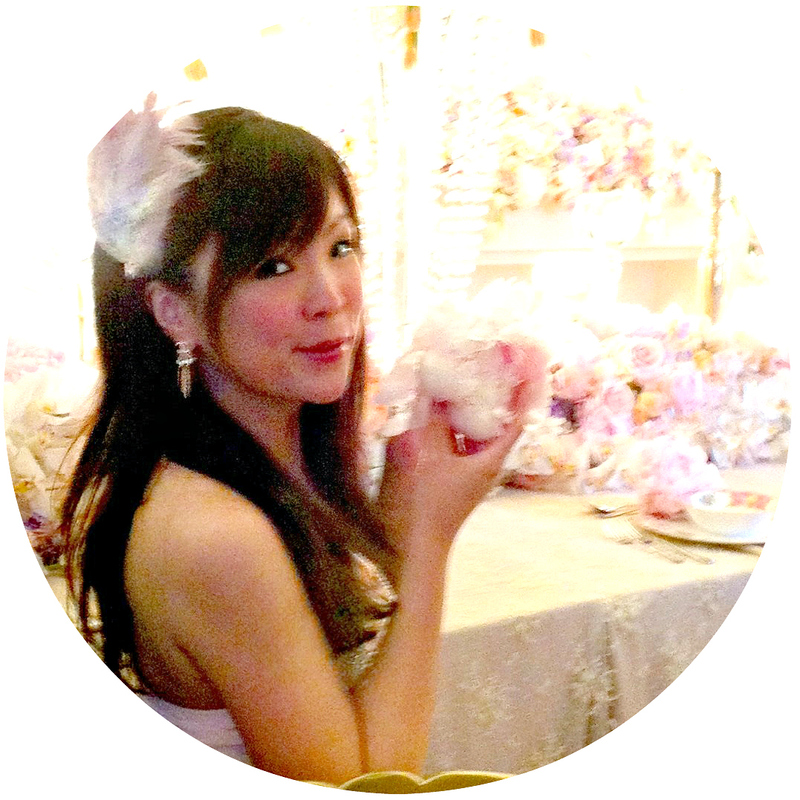 The bridemaids’ bouquets were smaller version of the bridal bouquet. 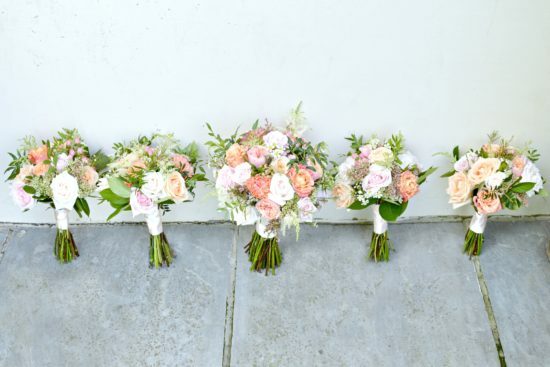 The bridal party wore peach avalanche rose and astilbe buttonholes. 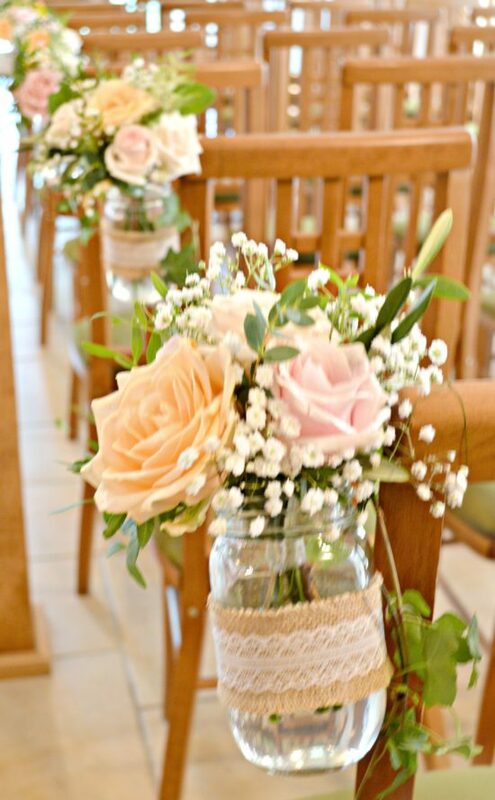 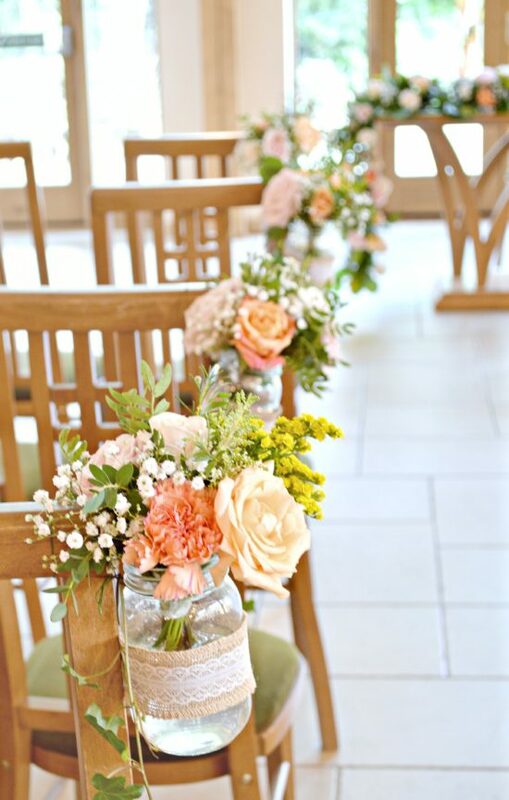 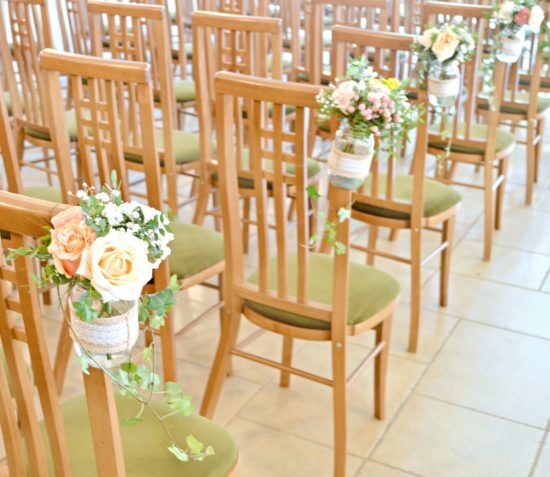 The bride sourced the jam jars with hessian and lace, we filled them with a matching mix of blooms and hung them on the chairs along the aisle for the ceremony. 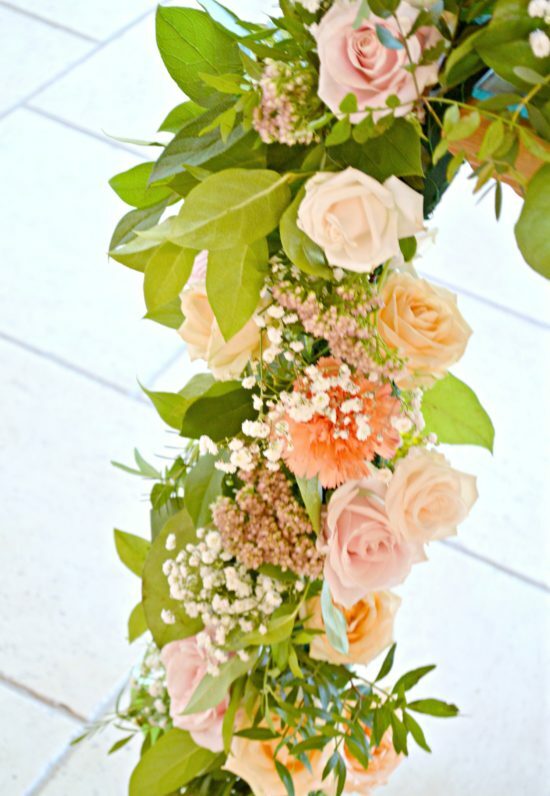 We decorated the registrar’s table with a long flower garland. 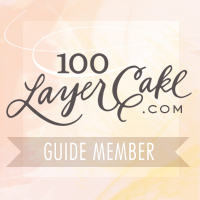 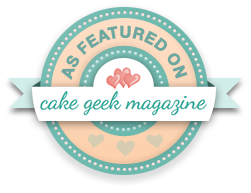 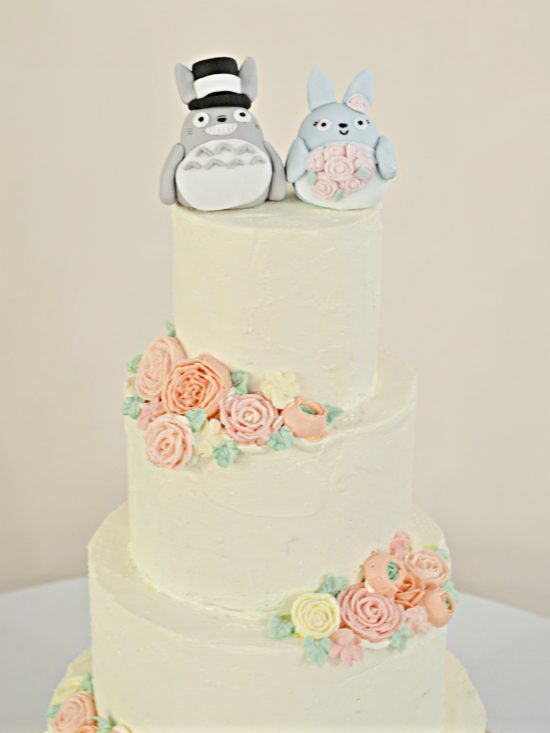 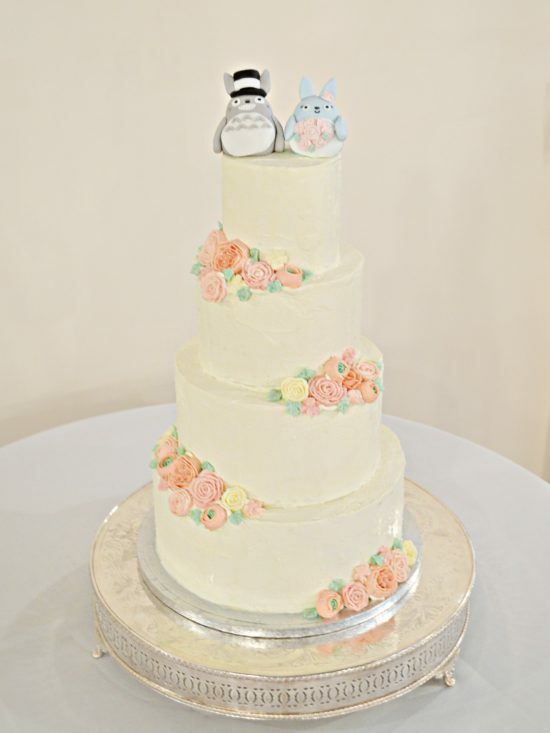 The couples are big fans of Totoro, we have created the Totoro bride and groom cake topper for the buttercream wedding cake with orange and peach buttercream flowers. 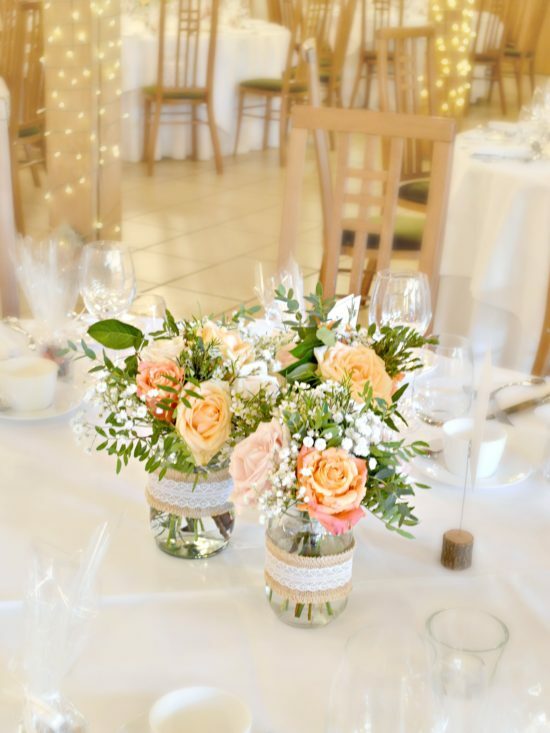 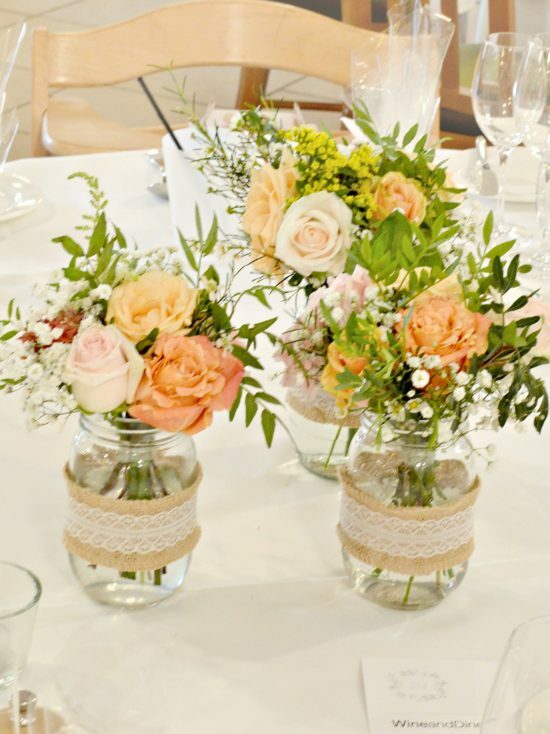 The table centres of the reception were a mix of different jam jars with the colourful blooms of the day. 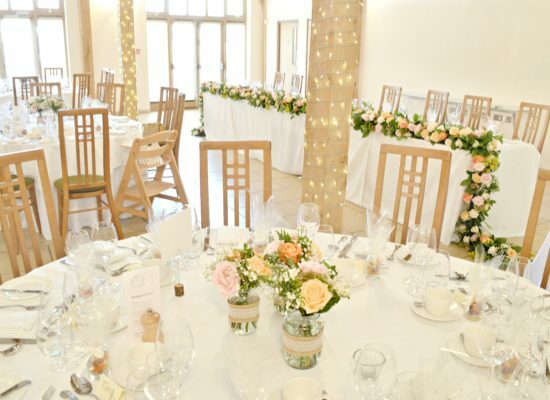 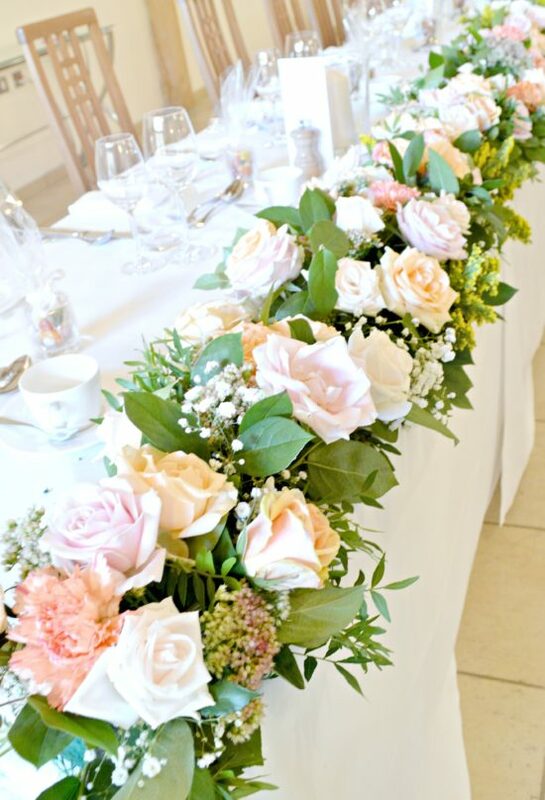 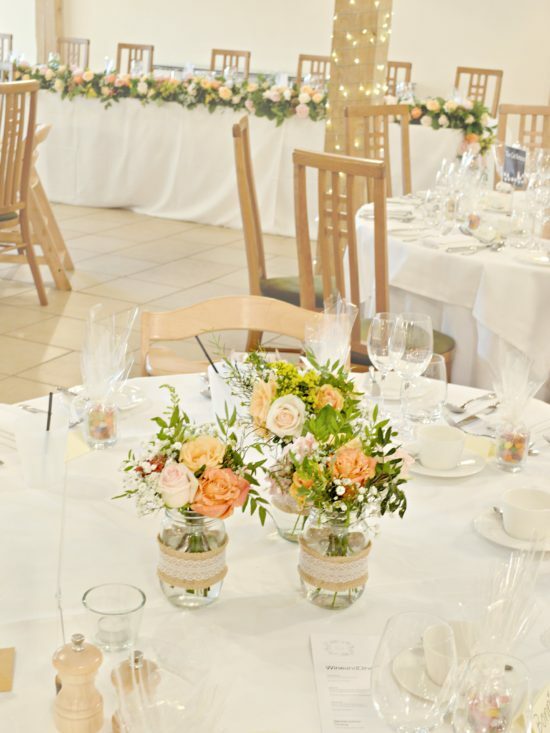 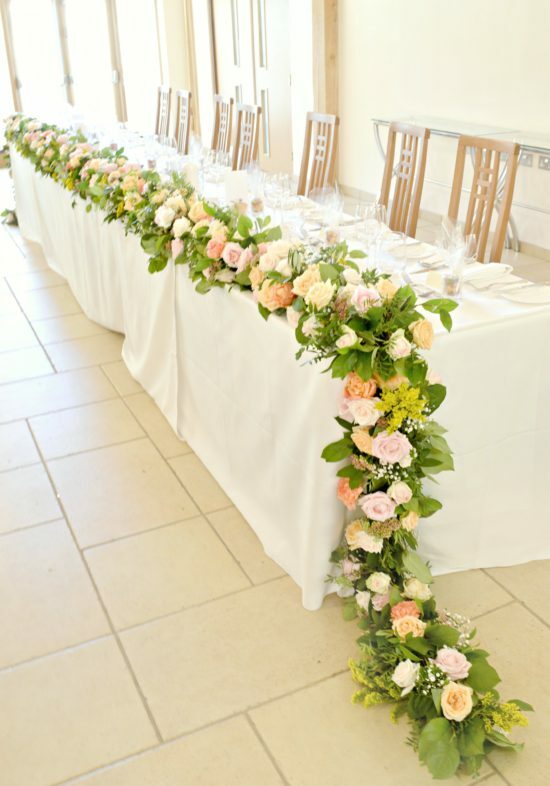 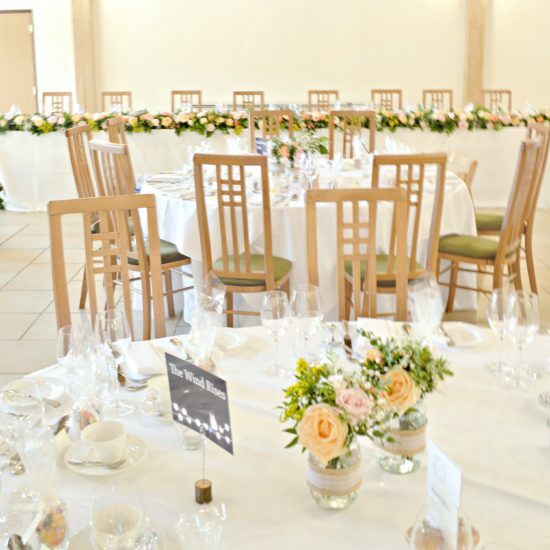 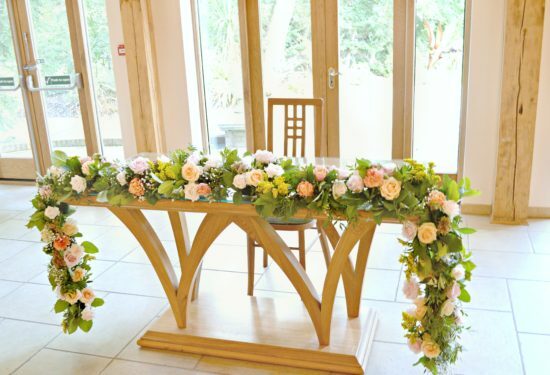 We extended the flower garlands to run along the top table with similar mix of oranges and peaches to complete the look.